Choose their fashions, select their hairstyles, and give them life aspirations. Be powerful and free, have fun, and play with life! Create a variety of unique Sims with distinct appearances, big personalities, and all-new emotions. Smarter Sims. The Sims 4 Careers Update. The Sims 4 Pools Update. Platform:PC | Edition:Standard Edition. Powerful creative tools. 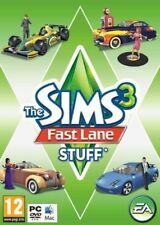 New listingThe Sims 4 (PC/Mac) Full Online Game "Quick Dispatch"
4.5 out of 5 stars - The Sims 4 (PC/Mac) Full Online Game "Quick Dispatch"
148 product ratings148 product ratings - The Sims 4 (PC/Mac) Full Online Game "Quick Dispatch"
Battlefield 4 (PC: Windows, 2013). Condition is Very Good. Dispatched with Royal Mail 1st Class Large Letter. The Sims 3: Island Paradise - Standard Edition (PC, 2013). Condition is Very Good. Dispatched with Royal Mail 2nd Class Large Letter. 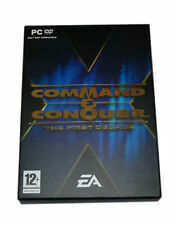 Command And Conquer The Ultimate Collection will not only give fans a chance to re-experience all three award-winning Command & Conquer universes - the epic clash between the GDI and Nod in Tiberium, the alternate Cold War of the Red Alert series and the modern warfare in Generals - but will also give them early access to the upcoming beta for the new Frostbite 2 powered Command And Conquer, coming in 2013. 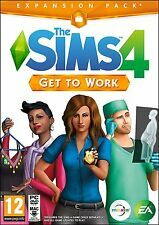 The Sims 4 (Xbox one). Condition is Very Good. Dispatched with Royal Mail 1st Class Large Letter. The Sims 3: Island Paradise - Standard Edition (PC, 2013). Condition is Like New. Dispatched with Royal Mail 1st Class Large Letter. The Sims 4 (PC: Windows/ Mac, 2014). Condition is Like New. Dispatched with Royal Mail 1st Class Large Letter. EA, the EA logo and The Sims 4 logo are trademarks of Electronic Arts Inc. Example: XXXX-XXXX-XXXX-XXXX-XXXX. To Redeem Code on Origin READ THE LAST LINE. We do not ask for ID. The Sims 4 Xbox One. Condition is Like New. Dispatched with Royal Mail 1st Class Large Letter. NEW - Mass Effect Trilogy (PC DVD). Condition is New. The Sims 2 (PC: Windows, 2004) Pets. Condition is Like New. Dispatched with Royal Mail 1st Class Large Letter. The Sims 2 (PC: Windows, 2004). Condition is Like New. Dispatched with Royal Mail 1st Class Large Letter. Crysis Maximum Edition for PCs running Windows XP or greater. Contains the original Crysis and every expansion for it plus digital documentation. Selling as I'm moving house and need to cut down the collection/backlog. Game was never used: picked it up and never got around to playing it, only unwrapped it to investigate the damage to the case (see pictures). All discs and insert in pristine condition. Will be packaged with care. Any questions at all, please do ask. Pre-Generated Description Crysis Maximum Edition | PC (Windows XP/Vista/7/8/10 | Good Condition. Condition is Good. Dispatched with Royal Mail 1st Class Large Letter. The sims 4 ps4 Condition is Like New. Dispatched with Royal Mail 1st Class Large Letter. (Would make an ideal gift :). 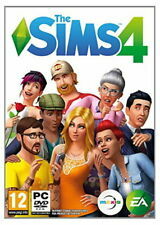 PS4 Game The Sims 4. Condition is Like New. Dispatched with Royal Mail 1st Class Large Letter. Battlefield 2 (PC, 2006). Condition is Good. Dispatched with Royal Mail 2nd Class.